I’ve nominated for the Prix Aurora Awards. Have YOU? 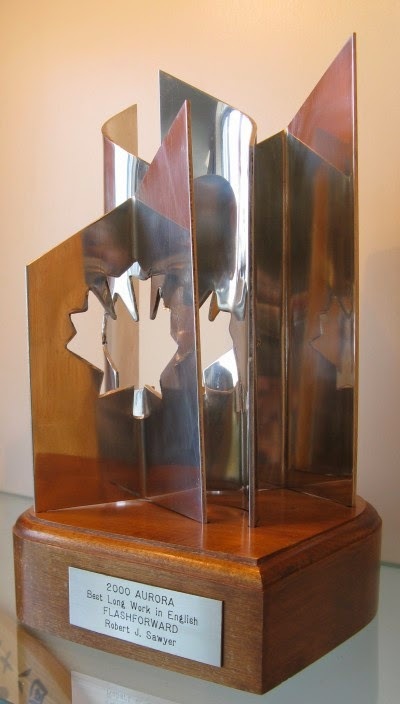 The Prix Aurora Awards are the Canadian award for excellence in Science Fiction and Fantasy works and activities, as selected by YOU the (Canadian) fans. Nomination for the 2014 awards (for works first published in 2013) are closing soon! As a past (and future?) nominee for the Aurora, I urge you to nominate your favorite works from last year. Nominations close this Sunday, April 12, 2014 at [11:59:59] PM EDT. For a list of eligible works go HERE (and let me put in a special plug for some great eligible work from my fellow Stop-Watch Gang members which you can find HERE). To place your nomination go HERE. Once nominations are finalized, voting will begin on May 3, 2014. Online votes must be submitted by [11:59:59] EDT on September 6, 2014. The Aurora awards will be present during VCON 39 / Canvention 34 on the weekend of Oct 3-5, 2014. Remember: vote early, vote often!